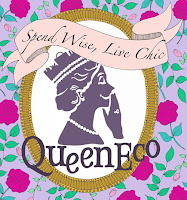 As I browse through the gazillions of Etsy stores online, I find that most of them have a theme. Case in point: Bijoux Déjà vu. 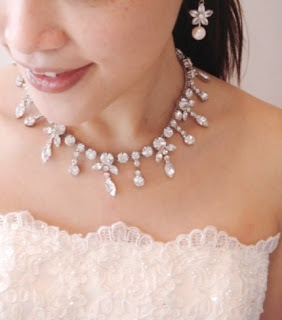 All of this designer’s creations seem to be geared for the wedding day but I’m finding things that would make nice statement jewellery for the everyday gal. I would totally rock the above necklace with an off shoulder top, jeans and some killer heels. Bijoux Déjà vu first started selling handmade friendship bracelets in Vancouver. Having stopped for a while, she was encouraged by her friends to sell her pieces on Etsy. Currently based in Hong Kong, all items are handmade by her and she is planning on launching a second Etsy shop, Couture Precious, which is going to feature affordable unisex jewels with rock n’ roll edgy glamour theme. Full name for BijouxDJV is Bijoux Déjà vu. Bijoux is jewels in French. The term “déjà vu” also comes from French. It means “already seen”. It’s an experience where you meet something new while feeling so sure that you have already witnessed it in the past. Taking this back to jewellery, Bijoux Déjà vu blends in all sorts of elements from new to old, simple to delicate and gives a modern twist to the overall designs. At Bijoux Déjà vu, we see beautiful chemistry from a hybrid of simple, common, natural and familiar elements that surround us. 3. 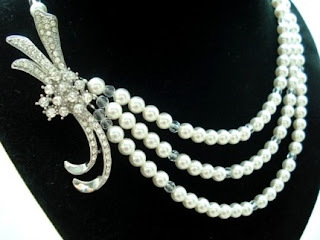 Most-used material: Pearls, rhinestones, crystals, enamel, lacquer, resin, filigrees, vintage findings, etc. Bijoux Déjà vu is offering our readers an extra 10% off if you say you are a Hong Kong Fashion Geek reader via Etsy convo. Stunning Jewelry! I love the pearls. It could easily be layered and worn with different looks.